Created : 18.07.2017. Updated: 16.04.2019. 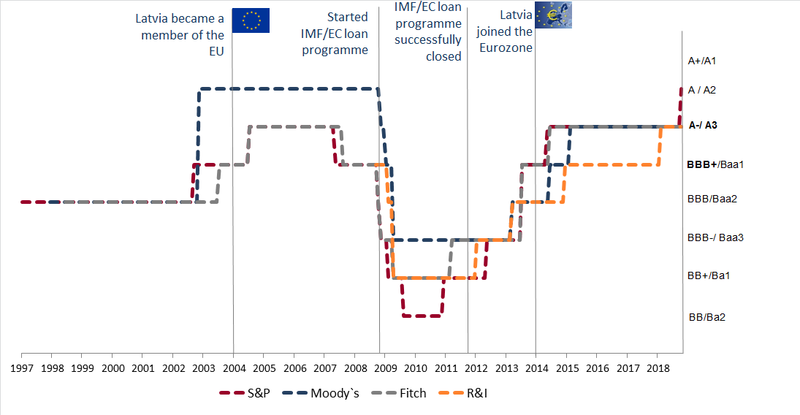 The credit rating for the Republic of Latvia is assigned by three the most recognizable international rating agencies - "Moody's Investors Service", "Fitch Ratings", "S&P Global" as well as by Japanese rating agency “R&I”. 15.01.2018 Japanese credit rating agency R&I upgraded Latvia's credit rating at "A-"